I am trying to do something very simple. I have a jpg image that I want to use as a background for a button in my web app. I can add a layer of text to the image (First image below). 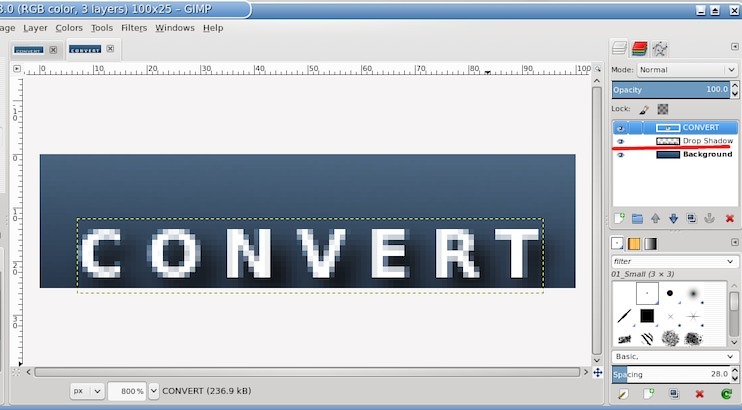 When I try to add a drop shadow to the text, I am not getting the desired results. The only thing that happens is that the background of the jpg image becomes transparent (Second image below). What am I doing wrong to apply the drop shadow to the text? I am also wondering why there is so much space above and below the text? Is that something I can control? Yes, I am trying to create the shadow by using Filters>Light and shadow>Drop shadow. I have attached a sequence of screen shots and the original file. I think it has to do with my configuration because I can get the same results by creating a new image and then adding text and a shadow. I even uninstalled Gimp and reinstalled it to see if I could reset all of my settings - that didn't work. I have added a drop shadow before with Gimp, but I don't know what I did differently. (Sep 24, 2014 16:31)ofnuts Wrote: 1) how do you add the drop shadow? Filters>Light and shadow>Drop shadow or some other way? 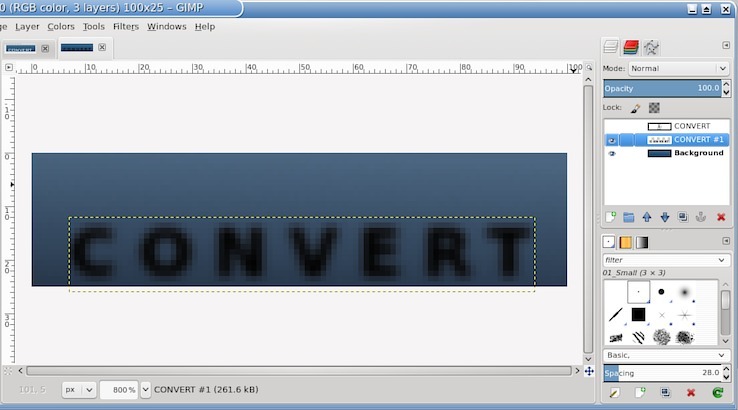 if using the standard filter, do you have a "Drop shadow" layer added? Can you show us the Layer list contents before/after (screenshot)? or maybe attach the XCF (in "before" state) here? 2) space above/below depends on the font extents. 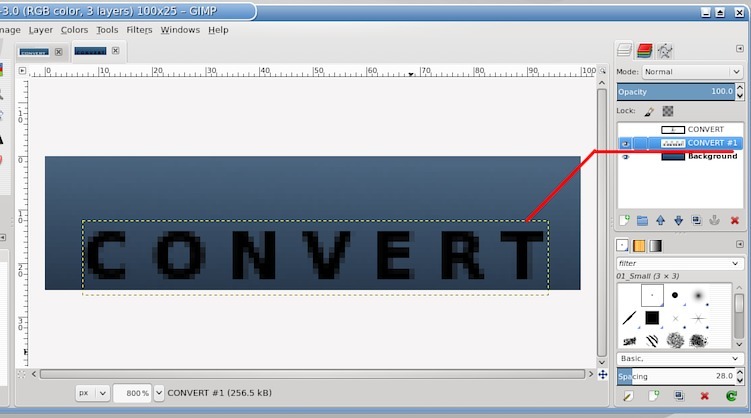 You can use Layer>Autocrop layer to remove it but your layer ceases to be a text layer and becomes a plain image layer. Thank you rich2005, but I can't see any of your links. I will look into your idea of duplicating the text. That should work. But I would still like to understand what I am doing wrong. (Sep 24, 2014 17:40)AndrewChristian Wrote: Thank you rich2005, but I can't see any of your links. Links not showing when you click on them? Must be your browser settings. 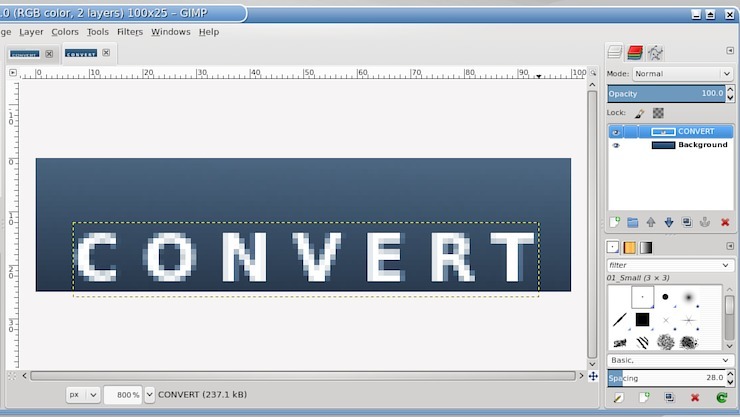 What is happening when you apply your drop shadow this time with such a small image size is that you have left the default setting in the drop shadow to Blur at 15px size. This makes your shadow so faint that you can hardly see it. Reduce your blur setting to say 2 and you will see the shadow. Ah! That's it! And it makes perfect sense. Thank you very much. This makes sense too. It explains what I was seeing. Thank you for pointing me here. To add to FB: with a blur radius of 15px, the shadow is 15px wider than your text in all directions. To the "Drop shadow layer" that accommodates it is much bigger that your text, and the image canvas is enlarged to make it fit inside.